We have wrapped up our week in Ireland. If you didn’t see my post on Connemara, go back and check it out here before reading about the rest of our trip! After leaving Connemara, we decided to head South. As I said in my Connemara post, we are driving ourselves all around the country, so we have the freedom to stop anywhere or change our itinerary if we choose to do so. On our way to stay at Gregan’s Castle, we stopped in Oughterard for lunch at Power’s Pub where we all had delicious traditional Irish dishes. 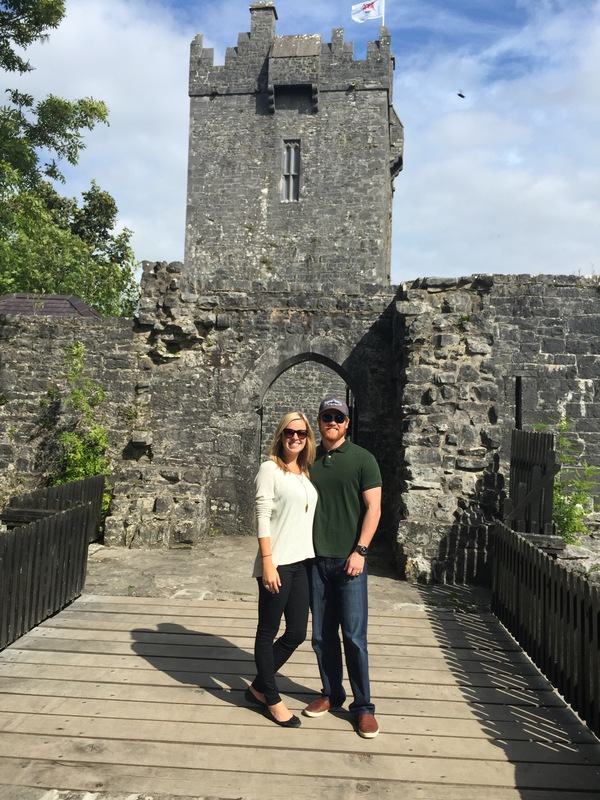 Leaving the small village, we stumbled upon Aughnanure Castle. 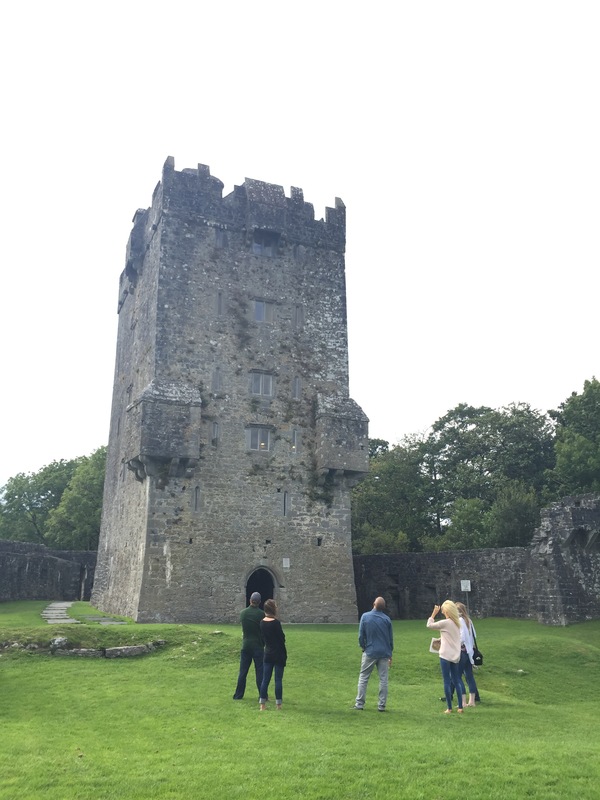 Taking the tour, we learned how these castles were not always for glitz and glamour. Owned by local chieftains and their families, these Gaelic era estates were built with a strong emphasis on protection and defense from outside attacks. Although a seemingly basic rectangular structure, every detail of the castle, from the roofline to the front door and the stairs to the trap doors, was designed to protect from or get rid of unwanted guests. Each floor is more or less one open room, so living was in close quarters with everyone – family and servants alike. 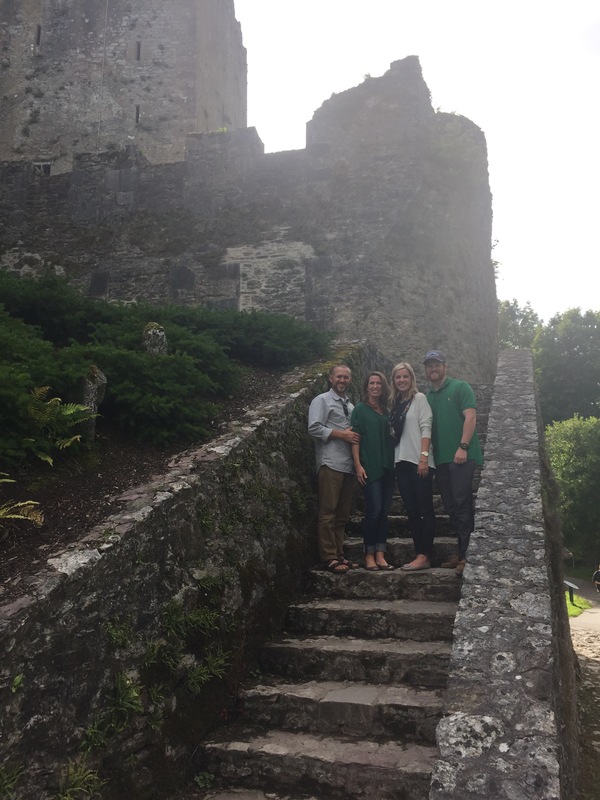 This particular castle was built by the O’Flaherty clan around 1300, but there are hundreds of similar castles throughout the country that reflect the Gaelic time period and a family’s need for protection. 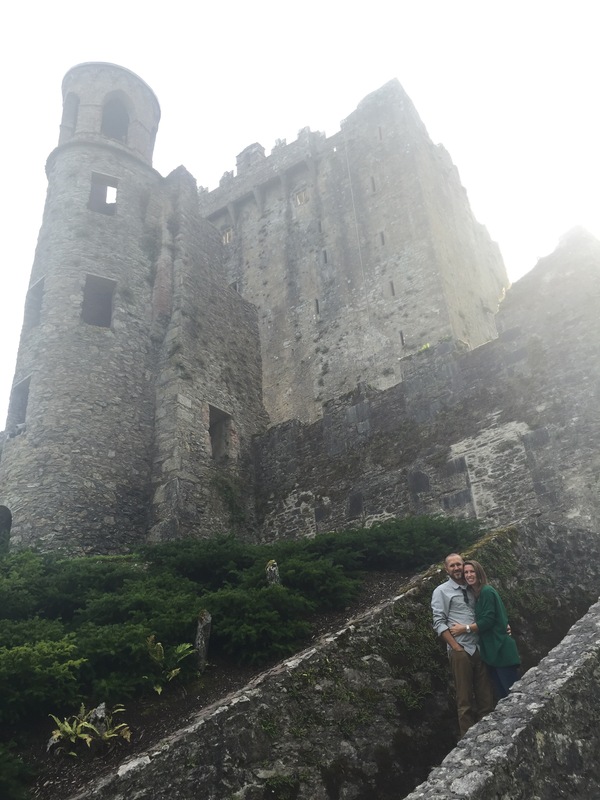 The same afternoon, we made our way to Gregan’s Castle for a quick overnight stay. This quaint, but lovely house is situated in the countryside near Ballyvaughan. Each room is unique and has its own personal style. From the drawing room to the dining rooms and garden, you feel like you’ve just been invited to someone’s personal country home for the weekend. (Also rumored J.R.R Tolkein stayed here!) Our favorite part of our stay was the amazing dinner served in their dining room. Their award-winning dining room served us an amazing 3 courses with several accompanying “snacks” from the chef, served throughout the meal. Amazing service and we definitely hope to return someday! On our way to our next stop, Killarney, we visited the Cliffs of Moher. These cliffs are quite popular for movie scenes, but I think they are even more popular for their sheer size and striking beauty. Being on the coast, it was wildly windy. Paying a small fee to enter the national park, we hiked up the path to the edge of the cliff to view the sheer drop offs, caves and crashing waves below. On the national park side (owned by the government), there are barriers and safety guidelines to keep you away from the edge. However, part of the cliffs are privately owned and the owners graciously allow visitors to explore the cliffs on their property. On the private property, there are recommended barriers, but one can easily walk closer to the edge to experience the magnitude of the cliffs. Being the adrenaline junkies we are, of course we jumped the barrier with everyone else to experience the cliffs in all their majesty. 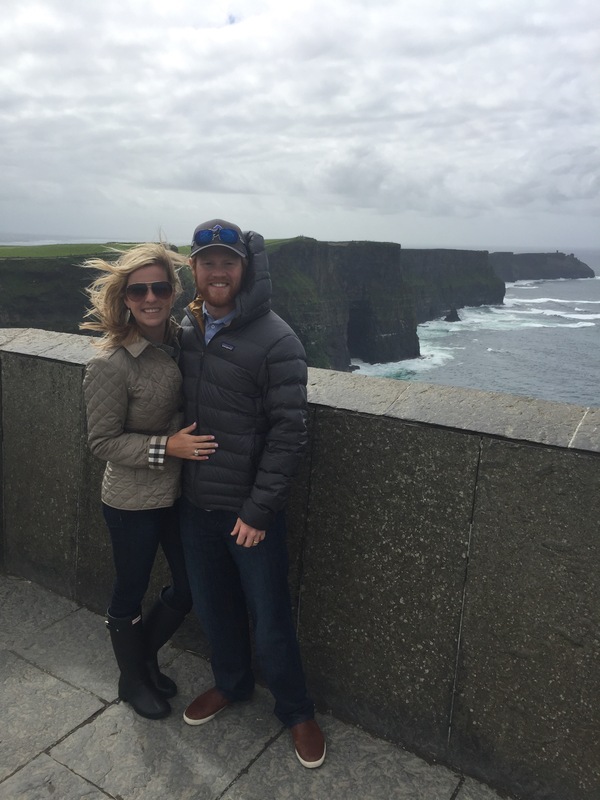 These cliffs were amazing and left us awe-struck. I truly felt they reflected the Lord’s divine design as they displayed such power and beauty. Upon arrival in Killarney, we checked into the Lake Hotel, originally built in 1820 and family owned since the 1940s. This historic hotel sits on Lough Leane and adjacent to Killarney National Park (Ireland’s first national park). 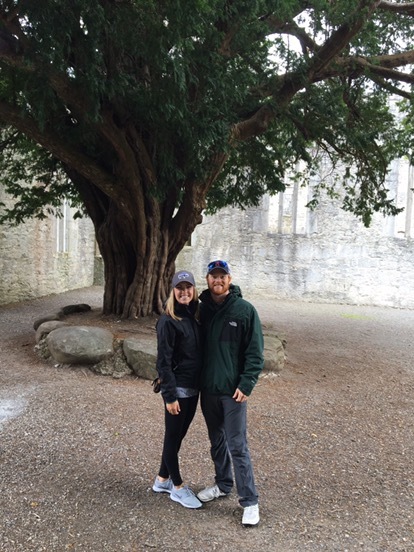 We explored Killarney National Park a few different ways. 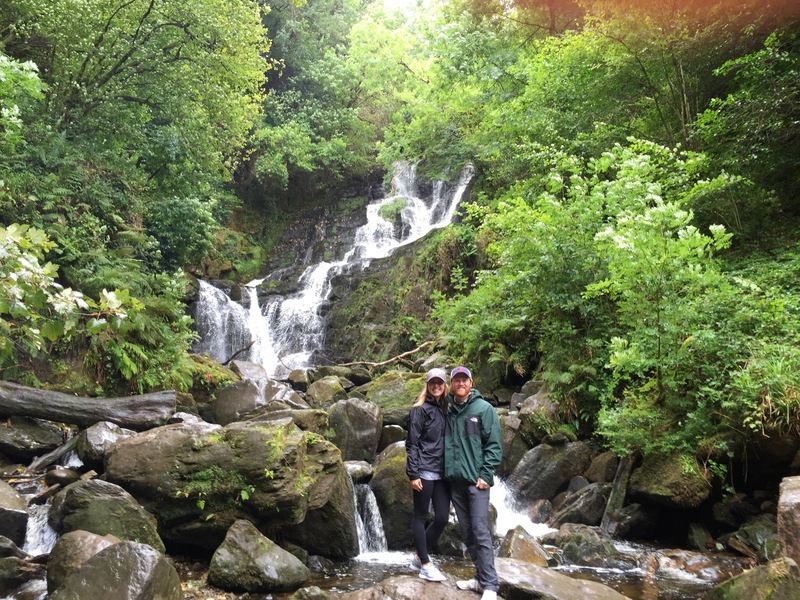 We hiked up to Torc Waterfall on Torc Mountain. Stunning waterfall and gorgeous, green hike. 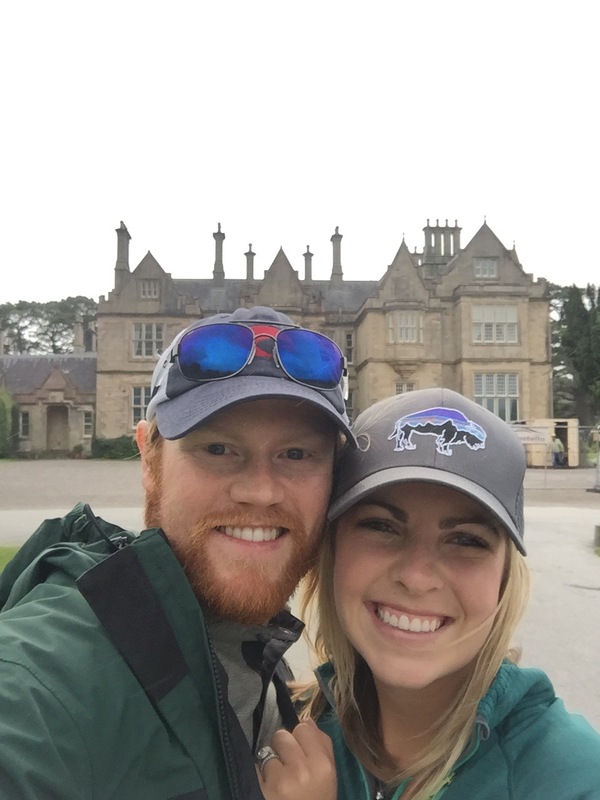 We also explored the Muckross Estate, including the house and abbey. The original estate was over 11,000 acres and used for hunting and fishing. After exchanging hands a few times, the estate was eventually gifted to the government for preservation and history to be accessible by all. We took a guided tour via horse-drawn carriage. Sadly, I did not take many pictures of the house. 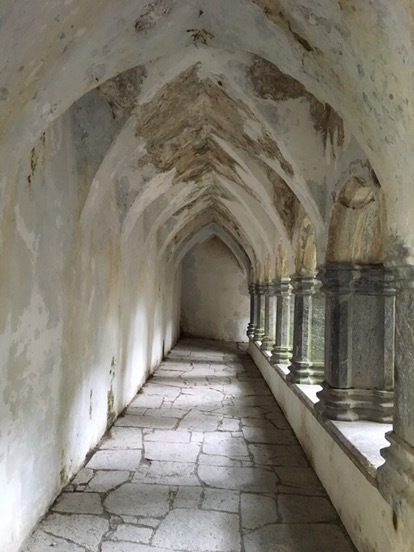 We then toured the old Muckross Abbey. Although the abbey was originally not kept up as much as the house and most has fallen away, the old monastery still holds so much reverence and you could feel the Lord being honored in the past and present throughout the building. The next day, we drove through the Ring of Kerry. I must admit, at this point, we were so tired of driving, however, this drive was so gorgeous and the views of the countryside were absolutely incredible. 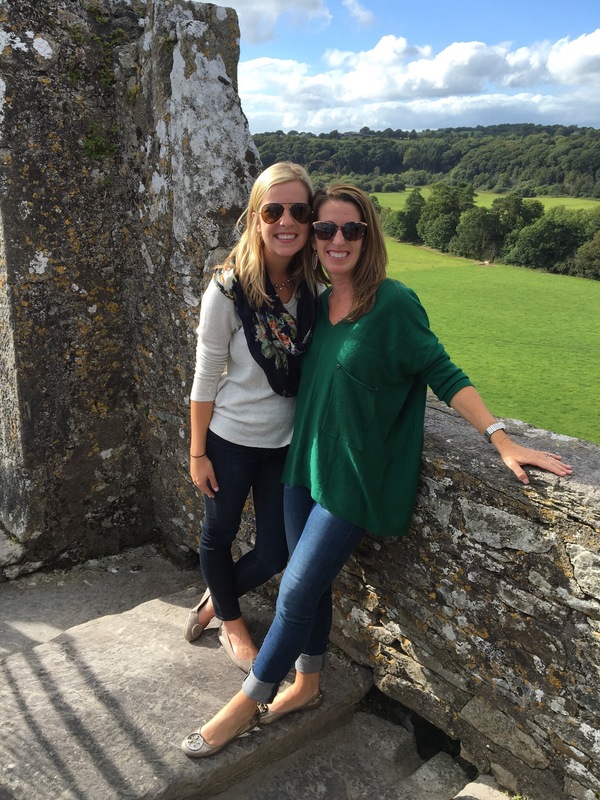 We stopped at Ladies’ View, before heading to Blarney Castle to hang upside down to kiss the legendary Blarney Stone! Legend says if you kiss The Blarney Stone (while hanging upside down off a ledge), you are to receive the gift of eloquence. 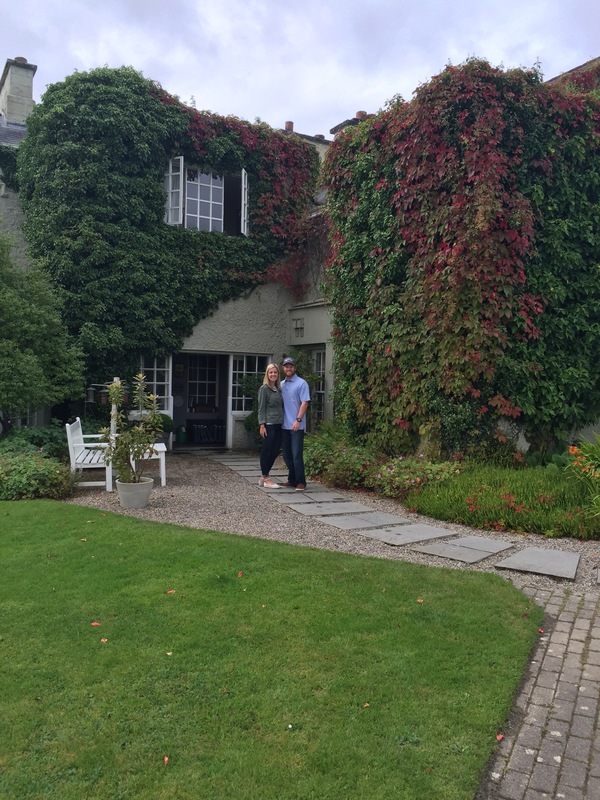 Blarney also included a gorgeous house and intricate gardens on the grounds. We spent an evening in Cork, although we didn’t get to enjoy the city very much due to needing to get to Dublin the next morning. 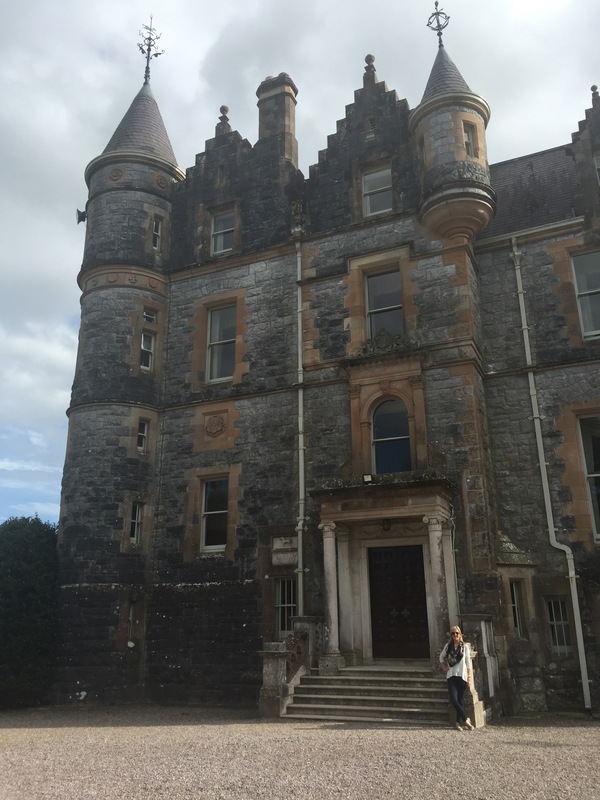 Overall, I had no idea what to expect from Ireland, so my expectations were pretty low. However, I was so pleasantly surprised at the food, hospitality, landscape and history of the country. We quickly fell in love with the country! We also quickly learned Ireland takes pride in sourcing as much, if not all, of their ingredients from their own land or waters, so every meal was incredibly fresh and in very generous servings. We can’t think of one meal we didn’t love! You can find my restaurant recommendations at the bottom. 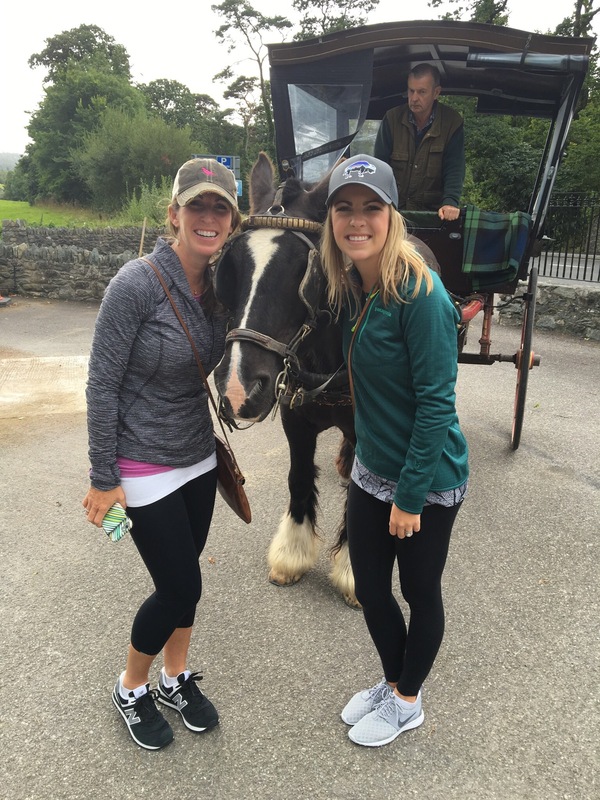 Ireland was incredible and I loved experiencing their culture, food and people! So thankful for Lane and Rusty who have invited us on many travels with them. So special to celebrate Lane’s birthday in such a beautiful country!